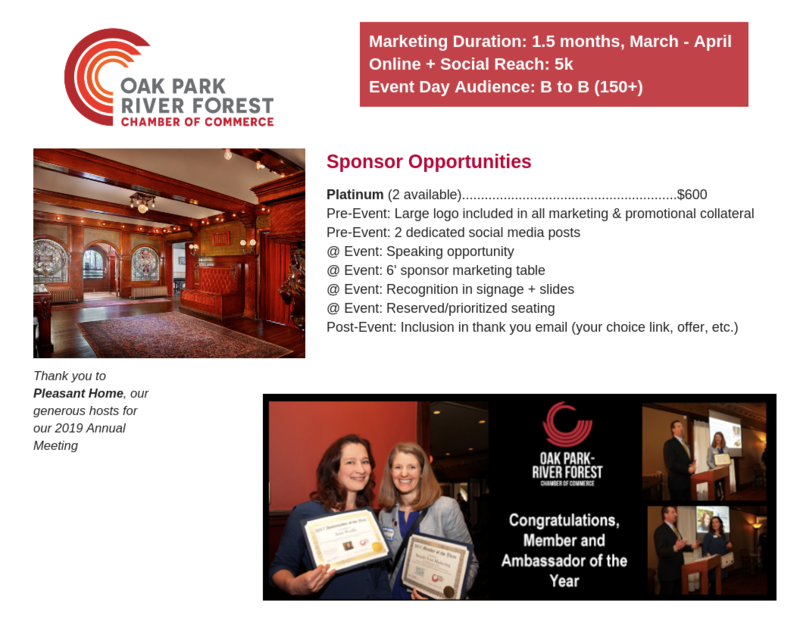 2019 Annual Meeting of Members of the OPRF Chamber of Commerce - Apr 23, 2019 - Oak Park-River Forest Chamber of Commerce, IL ? How can I attend? This program is SOLD OUT. Please register for our WAITLIST via green "Register Now" button on our event registration page HERE. 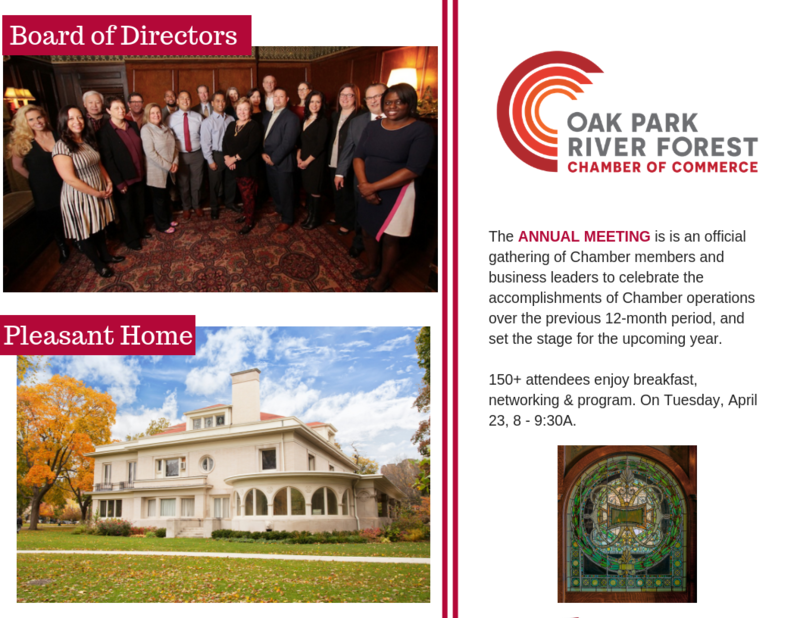 Confirmed attendees please join us on April 23 at The Pleasant Home, from 8-9:30A for a recap and review of 2018. Attendance for members + guests is complimentary and includes light breakfast and networking. Can I sponsor this event? Sponsorships are CLOSED for this program. View 2019 sponsorship package HERE or contact us if you are interested in sponsoring the 2020 Annual Meeting. Sponsors get high visibility in front of 150+ of Chamber's most engaged/connected members + leaders as one of only two sponsors. See 2019 Sponsor FAQs below. Questions? Contact us. Please register for WAITLIST via green "Register Now" button. Free to attend for confirmed attendees.